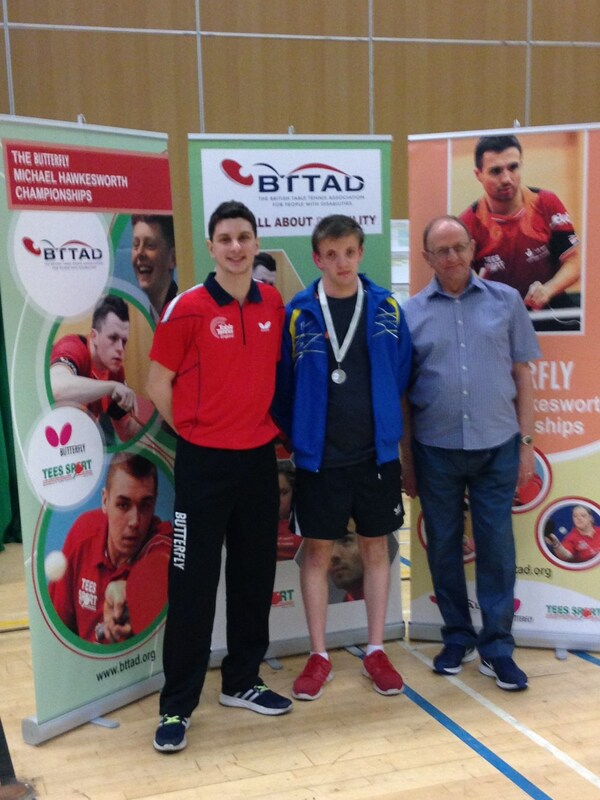 Following on from Craig’s success at the Under 23s Romanian Para Open he was in action again on 8/9 April at the British Para Table Tennis (BPTT) Championships in Grantham. In Class 9 Craig won his group 3-0, 3-0, 3-0 before dropping just one set in the semi-final. In the final he met Class 9 Paralympian Ashley Facey-Thompson. Craig won the first set but lost the 2nd and narrowly lost the third set 12-10. However, he fought hard and won the fourth set before Ashley took the final set and the match. Craig said ‘I am pleased with a Silver medal at the National Championships but this weekend has made me determined to work even harder in the future to achieve my goal of a Paralympic medal”. 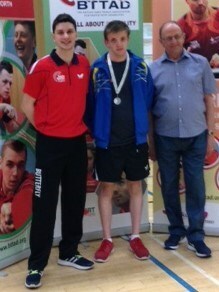 Craig also won bronze in the Mens Standing Doubles with fellow player Adam Thompson. This was the first time they had teamed up together in the doubles and was a great result for such a new partnership.